Brats come in a variety of flavors and sizes, from savory beer brats to fancier chicken and herb varieties. Their diversity of flavors makes them a great substitute for plain hot dogs -- especially if you're looking to change up classic picnic or tailgating food without reinventing the wheel. 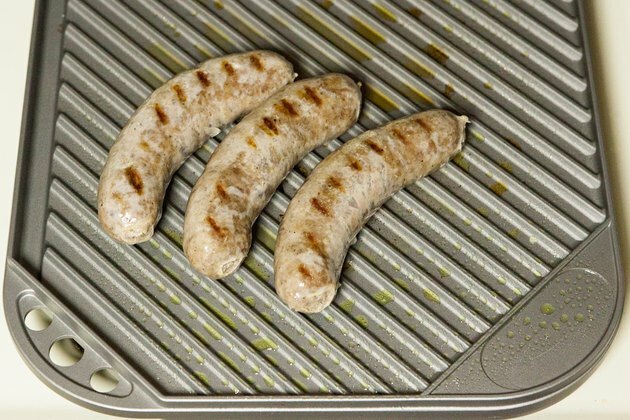 Boiling raw or pre-cooked brats before grilling them helps to infuse flavors and ensure a safe, thoroughly cooked sausage. 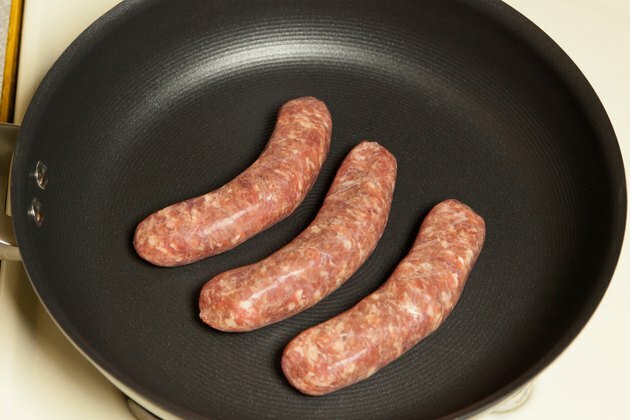 Place the brats in a skillet, leaving about 1/2 inch between each sausage. Lightly drizzle olive oil over the brats to prevent them from sticking to the pan. 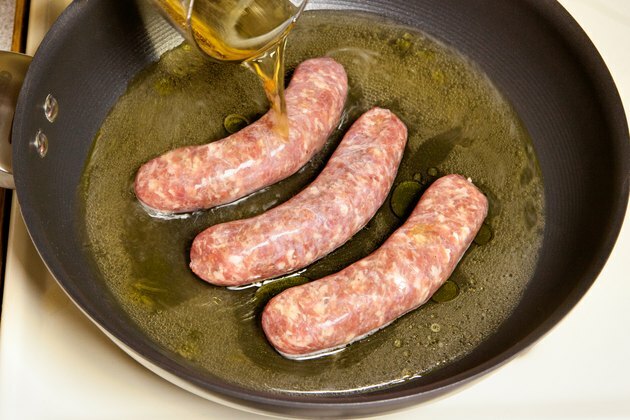 Shake the pan back and forth to coat the brats with oil. 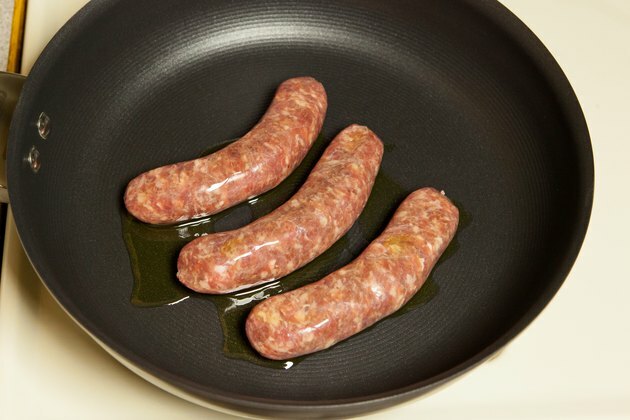 Pour beer or water into pan until the sausages are just covered. Use beer if you want to infuse a light beer flavor into the brats, and use water if you'd like to keep the original flavor. Add two to three garlic cloves, a teaspoon of caraway seeds, a handful of diced onions or any other flavors you'd like to infuse the brats with. 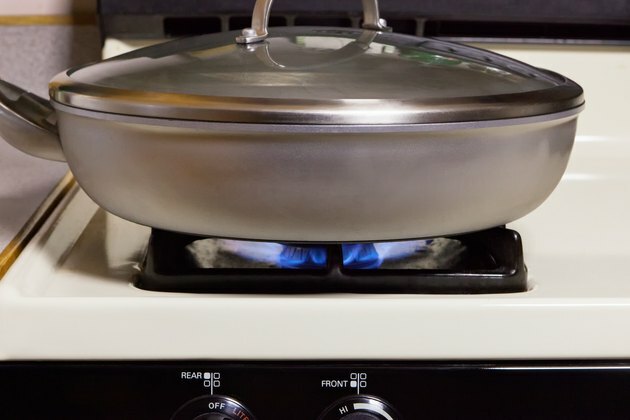 Cover the pan with a tight-fitting lid and turn the stove to high heat. Bring the liquid surrounding the brats to a strong simmer, then reduce the heat to medium. Simmer for 10 to 20 minutes, or until the centers of the brats are hot and steaming. 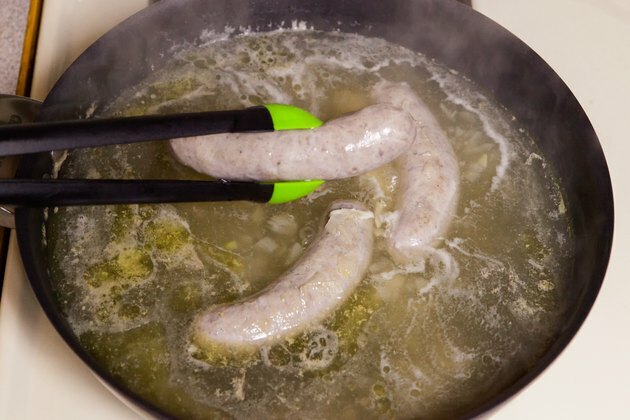 Avoid bringing the liquid to a full boil, because it can cause the sausages to burst open and then dry out. Remove the brats with tongs and transfer them to the grill right away. Grill until the outsides are crispy and brown and the interior temperature measures 165 degrees Fahrenheit. If you have more time and want stronger infused flavors, you can cook the brats at a low simmer over the course of several hours. Be sure to check the liquid often and replace it if it evaporates. 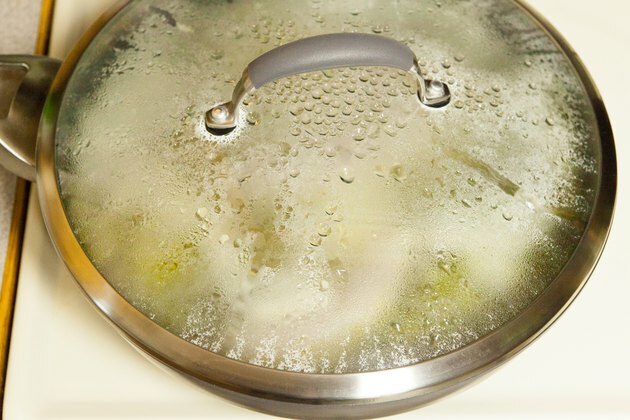 Keep the brats in the simmering liquid until you're ready to grill them to prevent harmful bacteria growth.